Can I have my conviction record destroyed/expunged? Where will my National Police Certificate be sent? What do I do if I change my address before receiving my National Police Certificate? Can I apply for a National Police Certificate via WA Police while interstate? When do I need a National Police Certificate? How do I apply for a National Police Certificate while overseas? Who can apply for a WA Police National Police Certificate? 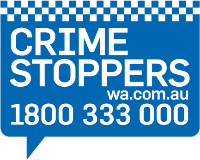 I have made an online application through an external service provider (not WA Police). How do I follow up on the progress of my application? How much does a National Police Certificate cost? How do I apply for a National Police Certificate? How long is a National Police Certificate valid? I need my criminal record for Court, do I use a National Police Certificate? I am unable to meet the 100 point ID requirements to make an application, what do I do? How do I dispute information contained on a National Police Certificate? I am a mononymous (single name) applicant, how do I complete the application form? Can I prioritise my National Police Certificate application? Can I apply for a National Police Certificate online or via email? I live more than 100 km from my local Australia Post Outlet, how do I apply? Where can I obtain a National Police Certificate application form? What is a National Police Certificate? I have received my certificate but my name/date of birth is incorrect? What are acceptable types of identification to apply for for a National Police Certificate? I have received my certificate however it has been damaged in the post, how do I arrange a replacement? How can I check the progress of my National Police Certificate? What is included in a National Police Certificate? How long will it take to process my National Police Certificate application? In what form will results be provided in my National Police Certificate? There are no application forms in my local Australia Post Outlet, what do I do? What security features are included in a National Police Certificate? Will staff at Australia Post outlets see my Criminal Record? Can I make a National Police Certificate application on behalf of someone else (family member, employee etc.)? Can I apply for a National Police Certificate at a WA Police station? Why is Australia Post accepting National Police Certificate applications and not police stations?